This seems plausible, and entirely welcome. It only seems fair that brandy should share in the craft spirits movement, which seems to have somewhat passed the brandy category by. 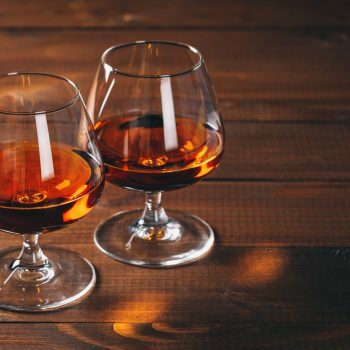 In terms of Cognac, exports increased for the third consecutive year in 2017, reaching record levels for both volume and value, the Bureau National Interprofessionnel du Cognac (BNIC) reported in August. Export figures for 2016/2017, covering 1 August 2016 – 31 July 2017, show that Cognac exports achieved overall growth of 10.2% in volume and 15.2% in value, with nearly 190.2 million bottles exported totalling €3 billion in value. Globally, exports of Cognac to all markets reported growth, with the far east market proving particularly buoyant. A total of 53.7 million bottles were shipped to this region – an increase of 10.6% in volume and 19.4% value compared with the same period the previous year – the highest increase in value of any market indicating a level of premiumisation among consumers. Of this total, China made up the majority of exports, accounting for nearly half at 22.6 million bottles.